I won't be doing Julnowrimo. I didn't get my novella finished even though I'm ttthhhiiiiissssss close. But I really don't want to rush it and have to go back and redo it later. So I think I'll give myself til the end of July to have it done and edited and ready to submit somewhere. And who knows, maybe there's an Augnowrimo. In the meantime ONLY 3 MORE DAYS UNTIL WHERE ONE ROAD LEADS COMES OUT!! And they finally posted my excerpt over at Samhain. I hope that it gets lots of good reviews. I've only gotten 2 reviews thus far. I'm jealous of all those writers who get dozens for their books. I don't like to be left out. Wow, what a nice little storm we had last night. Constant lightning and thunder. A few really pretty jagged bolts. It was an awesome sight. But we lost our power for a good two hours. Luckily it was fairly light outside so we could function. We were all gathered around the diningroom table. All the kids had drawing paper and I had my notebook. When it got too dark I lit some candles and continued to write. I'm that determined to finish this story! Besides, whatelse was I going to do? Well, I could've read, but I'm somewhat in between books. I'm pretty pleased with the progress of this story. My happy couple is no more, I've decided on the fate of one of my secondary characters. Now I have to have my broken couple find their way back to each other (and I've already written part of that) and voila, the story shall be complete. Its a very good feeling! Well, its getting late and I have to get ready for work. I'm hoping that the computers and phones will be working okay at work. Seems that whenever we have power outages (and I'm sure my work was hit too, I only live up the road from it) something goes wrong. And my boss is on vacation. Who knows. I don't get paid to worry. I'll let the experts do that. First job: I worked an an inn in Rindge NH as a babysitter/chambermaid/bus girl. I tried waitressing, but I stunk at it. Really really stunk. My sister and brother worked there, my current sister-in-law works there and so does her daughter and I believe at least one of her sons. A real family affair. First screen name: Rhiannon. And then I was accused of stealing it because I wasn't the only Rhiannon in the chat room. So I changed it to Branwyn. I was really into Welsh goddesses. First funeral: My grandfathers. All I remember was that it was cold and gray and I missed him so much. First pet: I think it was a turtle. I don't think it was a good idea. First piercing: My ears. I got them pierced when I was 8ish. It didn't last. I repierced them agan around 14. I now have 4 holes in my ears. In various places. First tattoo: Is a small goddess figure holding up two moons and a star. I'd like to trade it in for an angel. And yes, it did hurt. First credit card: A Mastercard. I had such a fun shopping spree that I went back for seconds. Paying it off wasn't so much fun. First kiss: Gack, I can't even remember his name. We were playing spin the bottle. Not the highlight of my kissing memories. First enemy: Jim "Bucky" Pryor. We were mean, but he was a horrid boy in our neighborhood who shot squirrels with his bow and arrow. Last car ride: Today. Did a recycling center run, went to the library and then took the kids for a swim. Last kiss: This afternoon when my DH was leaving for work. Last beverage drank: Right now. Water. Last food consumed: a homemade pizza. Not much of an appetite for it though. Last phone call: This afternoon called my DH to wake him up. He works 2nd shift and sleeps during the day. Last time showered: Last night. But I'll be heading for another after I finish this. Last website visited: Yahoo mail. Gender: Female now, before and from now on too. Siblings: Two brothers (one deceased) and one sister. Shoe size: Post birth of my last child..... 10. Pre birth of my last child 9. Drinking: Didn't we just cover this? still water. I had such dreams. I saw myself having an hour every morning to myself now the kids don't have to go to school. That hour was going to be peaceful and quiet and I was going to get tons of writing done. Such a beautiful picture. *sound of needle being yanked over a record* Since school has been out the kids (some of them anyway) have been getting up EARLIER than they were on school days. I'm only 20 minutes in to my beautiful quiet productive hour and I already have 2 kids hanging out with me. But there are some good things on the horizon. My DH has ordered me a nice cooling pad for my laptop so I can use it for a good long time. And we're getting Comcast on Wednesday so I'll be speeding along faster than... well, faster than I'm going now. Its going to be hooooooooot out today. Must bring the kids out swimming. I don't want to get away from my novella though. I'm on a roll and the end is in sight. Yippee!!! I'm trying to psych myself up to finish That Kind of Magic by Saturday June 30th. That way I can join in the July writing challenge (aka Julnowrimo) with my sequel to Sweet Forever. Its just revolving around my brain too much to ignore it and what a good chance this would be to just write to my hearts content. I'll give it a month and then put it aside and go back to TKOM for the wonderful edits. I think its doable. I have the extra time in the morning now the kids are out of school to get an hour of writing done before the day begins. Anyone else out there going to participate? I hope I'll be able to get involved in the November challenge too. I've had 2 good years in a row with that one. Not that last years wip went anywhere, but I finished the challenge successfully. Okay, one more hour of work then its off to the store and to home to make shrimp scampi. Yipee! I may have a textbook from my equine management course, but I'm not sure. I have lots of stuff in storage and I'm something of a packrat. I tend to save notebooks if there's any room left in them to write in. I have a bunch that still have notes from my English classes especially. I love finding the ones from high school (Yes, I still have some) with the CW+whoever it was at the time. It was so high school. Well, it should be Friday. It feels like Friday. I wish it were Friday. But its not. Its been a long week. I got a bunch of writing done this week, so that feels good, the kids are officially on vacation and have taken my threats to not let them do anything fun this summer if they don't clean their rooms very seriously. They still have ways to go, but they're pretty standard kids. My daughter has discovered fanfic. She's a huge High School Musical fan (after all, she's nearly 11, the perfect age) and she loves to write. I wrote some fanfic back before I even knew what fanfic was. I wrote stories based on the original Battlestar Galactica. In my fanfic I brought the character played by Rick Springfield back. He died in the very first episode (he was Apollo's younger brother). I had a thing for RS back then, but at least I got to enjoy him for a while as Dr. Noah Drake on General Hospital. I'm looking forward to seeing what my daughter comes up with. She's been working on a fantasy too. She makes me proud! Well, its THAT time.... time to get ready for another fun filled day in the office where I can brainstorm my latest wip. Or wips, as the case may be. I'm heading quickly toward THE FIGHT in my novella. Finally!! Sheesh. They already said the L word to each other, now its more important than ever to break them up. I’ve been putting something off for too long. I really truly need to revamp my website. It’s rather dull. I need pizzazz, wow and flash. But I hate to take time away from my writing. I’m thiiiiiiiiissss close to finishing That Kind of Magic and I really really really want to get it done. If I could get it finished and edited by the end of July I’d be ecstatic. But my webpage needs serious TLC. I’m also needing to do more promoting. I’ve been avoiding it like the plague, but I just can’t. Must be done. How else am I going to become a famous author or immense proportions? I’m very happy to say that tomorrow is the last day of school. No, I’m not taking any medications. I’m just looking at it this way-I don’t have to get the kids up in the morning. I can have peace and quiet and maybe an extra hour of writing time. My kids don’t share my glee. They really like school. Now I must get myself ready for work. Why can’t I work for the school system so I can have summers off? Oh, because I’d make a lousy teacher. Well, I finally got my hair chopped yesterday. I spent more on it than I’ve spent on a haircut in years-before I had kids. But I love it. I lost about 4 inches of hair but it’s a fun style and I’m extremely pleased. But with all this running around (had to shop for groceries and bring my DH his dinner-oh and make dinner for all the kidlets) I got very little writing done. What would we sacrifice for our writing time? Quality time with the family? The time it takes to make a good meal (and keep handy anything that has a prep/cook time of less than 4 minutes)? Reading? Sleeping? Exercise? I envy those writers who can do it all. But I work 40 hours a week in an office, so that’s 40 hours I can’t get anything done. This is especially painful when I have lots of ideas floating around my head that I want to get down before they decide my time is up and go find some other writer who does have the time. School is almost over. They’re last day is Wednesday. Then they can sleep in and I don’t have to worry about who’s going on what field trip and needs a bag lunch and/or money. I can’t keep anything straight and I know I’ve missed an appointment or two along the way. I think I need a secretary. Here they go again. I’m just sitting here writing my story (novella this time. I’m determined to finish it!! ), still rather miffed that my hero and heroine didn’t have their fight at their scheduled time. Suddenly another character just started acting, um, out of character. And now I’m think I’ve come up with the way to split my happy loving couple up. Man, I’m devious. It’s almost too perfect *rubbing my hands together*. If only I didn’t have to go to this sports banquet. I’m on a roll and I don’t want to stop it, but unfortunately we’re heading out in about 30 minutes and I’m not even dressed for it yet. I’m just pleased that I have a good direction for this story. I’m nearly to 35K now. Not bad for a story that was only supposed to be 8k. Dang characters. I really wish they’d do what I want them to do. My characters in That Kind of Magic were supposed to get into a fight. Actually Patrick was supposed to be a lunkhead and tick Charlotte off enough for her to break up with him. But did he? Noooo, He acted in the opposite way I wanted him to act. Yeh, sure its more natural, more him but now I’m going to have to figure out another way to break them up. I got my final edits back for Where One Road Leads. It looks fairly easy and with luck I’ll have them done today. Of course DD needs a bathing suit so it looks like we’ll be heading out to the store today. And tomorrow is sports banquet. I hate the end of the school year. There’s far too many field trips and other events that either require my signature or bag lunches. How am I expected to remember all this???? Now off I go to the editing. So on JULY 1ST Where One Road Leads will be all purty and ready to be purchased. Uh Oh.... one more day til I have to post on the Whiskey Creek Press Myspace blog.... I should probably put something together. I've decided that I have to quit my mundane job at the publishing co. There's just no way I can get all my writing done when I have to give 40 hours a week to data entry. It's disturbing to have all these creative spurts of energy and not be able to do anything about it. So I'll have to give up my day job and write full time. I'm sure my husband would understand. But seriously, lately all I've wanted to do was to write. I've got too many wips floating around that I'd love to dig into. I have my novella that I MUST FINISH and this new sequel to Sweet Forever which is flowing out of me so quickly. Not to mention that I'm blogging over at the Whiskey Creek Press Myspace blog on Monday. I have absolutely no idea what I'm going to blog about. I could just promote Finally Home, or I could post something really helpful to other authors. I'm just afraid that I'll ramble on and on. Kind of like I do here. Anyway, the guys are out, one daughter is at NH Special Olympic summer games and my other daughter is busy elsewhere. I should take advantage and get some writing done. I feel like I'm way behind on my news. I just found out that one of my favorite authors passed away last month. Lloyd Alexander wrote some wonderful children's books, including the Chronicles of Prydain, which were my favorite growing up. He was one of my inspirations to write a fantasy and increased my interest in Welsh mythology. The company I work for published one of his books, Dream of Jade. He called our offices once to order copies of it and I was the lucky one to get the phone call. I was so thrilled when I found out who I was talking to. Though I felt like a little groupie, I had to tell him just how much I loved the Chronicles. He told me that I made his day. He's given me so much more. What a dear man he was. I'm really sad to hear that he's no longer here, but his books will always be on my shelf and I know my kids are going to be huge fans of his as well. Thank you so much, Mr. Alexander. You've give me so much enjoyment from your books. I'm so happy! My cover for Where One Road Leads over at Samhain has been approved and is now up! Less than a month to go and it'll be released! I must say that this is my favorite of the three that have been released so far. I just hope that I'm not going to be alone in that opinion. I haven't gotten much writing done in the past few days, there's been too much going on. I've actually been working on a new wip (okay, slap me on the back of the hand... I really didn't want to do that), and have a few pages done and getting a good idea of what who I want my heroine to be. She's going to be a lot punchier than my other heroines, and younger, twenty-three going on twenty-four (okay, not much younger). She'll be quite a combination with the hero who is older and mellower. Mellower? Is that a word. Oh well, it is now. We got a "new" car today. It needs some tlc but its a heck of a lot better than the Van o' death. Its an ex-police car so the engine is pretty impressive. I'm looking forward to getting it out on the highway, though that could be dangerous. Maybe I should just stick to the Momobile. Yeah! Ghost Hunters is back on tonight with new stuff. We've only been waiting since November. And even though it looks like Jericho has been cancelled they might give us another 8 episodes to tie things up. I think its extremely rude to cancel shows after leaving viewers with a cliffhanger. Okay, now I'm just rambling. I'm off to work on Jaycie and he-who-has-not-been-named. 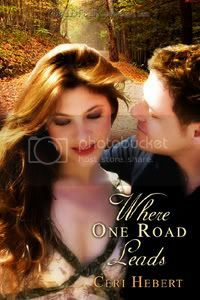 My cover artist sent me my new cover for Where One Road Leads. I really liked it, the models were very much how I pictured my hero and heroine, except for one thing, my heroine has visible scars on her face. Not little ones either. So, how does that get handled? Would a reader get turned off if they saw a cover with a heroine who was scarred? Or would it be worse to have her perfect on the cover but not in the story? I've been trying to finish my latest novella but ideas for new stories keep my mind very busy the past week or so. Someone who read Sweet Forever wants a sequel to tell Ben's sister's story. That has been first and foremost in my brain. Not thats a bad thing, but I'd rather finish one thing before starting on something new, and this would be a good NaNoWriMo project. And it'll give me plenty of time to make notes and figure her out. Time to get the girls on the bus and get ready for work. I stopped by Fallen Angel Reviews and found a review of Sweet Forever. I was very pleased, to say the least. Hayden Merrick is not happy to leave her lovely tranquil Maine home in Clarksport and head out to Burton, South Dakota, but she has to go and visit her grandmother. The approaching thunderstorm is only making matters worse and running into Ben Winslow, who has powder blue eyes that can lure any woman in with his western cowboy persona, is allowing her to see the angry side of him. Ben was doing just fine enjoying his job running the ranch and caring for the horses. He was as cowboy as they come. After Hayden arrives, he suddenly learns he has to expand his way of thinking a bit more than what he is accustomed. Since Hayden’s grandmother plans on leaving her the Forever Ranch, Hayden feels she will most likely end up selling it. Since the ranch has been in Hayden’s family for generations. Ben’s thoughts are it should stay in the family and not be put on the market. 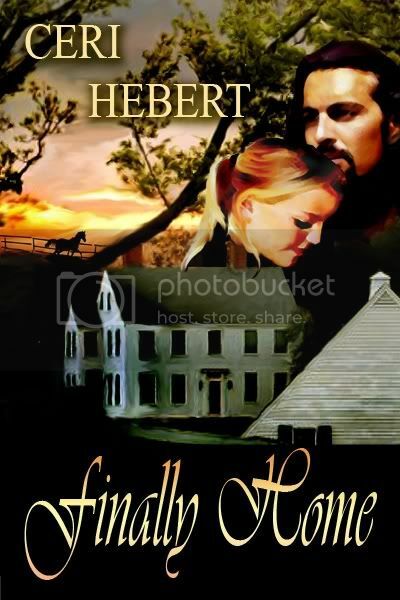 Hayden doesn’t care; she has a beautiful home in Maine, with her stepfather, and a lighthouse that she is happy with. She only plans to stay in South Dakota to learn more about her grandmother, even if most of the town believes she is nothing but a troublemaker. Hayden is not happy with the situation with Ben and the ranch, but something in her heart tells her differently. As Hayden and Ben learn to work through their rift, their heart speaks to them in a whole different manner. Sweet Forever is a romantic story where love is there pulling two people together. Ben and Hayden are electric characters, with sparks that shine even when they are against odds with each other, or trying to make amends. Hayden is determined to stand on her own two feet while getting to know her grandmother. She has roots for her at her Maine home, while sharing an attraction for what the ranch can offer. What woman wouldn’t want a cowboy like Ben to come riding into their life? He is down-to-earth, supportive and caring, putting others’ feelings before his. 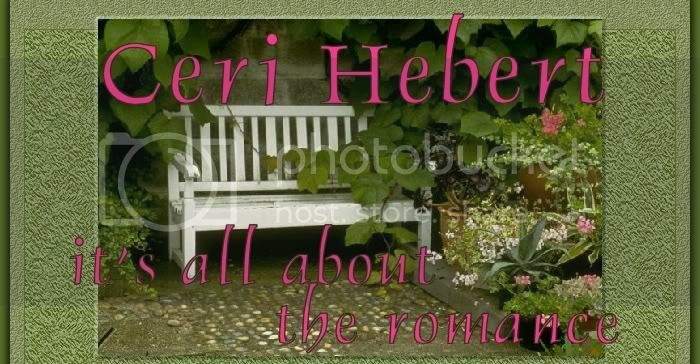 I could get the whole feel of the landscape that Ceri Hebert paints of the ranch. She creates believable characters that make the storyline real, as they work through their differences, and open up a new door of opportunities. The lovely ending made this book an even more unforgettable awesome read. Despite their chilly past, Torie Barron and Alex Carmichael’s identical goals drive them toward a headlong collision over the horse farm they both covet, until a family tragedy puts an end to Torie’s dreams. As her life is swept down an unexpected and rocky path, she turns to the man who has been so infuriating yet intriguing. The man who stomped her heart into the ground when they were teens. Will Alex be her savior, or the one who stands in the way of all she’s ever wanted? What a way to start the month! I'm so excited that Finally Home is finally up for sale over at Whiskey Creek Press. What a long trip its been from the first time I sat down at my dining room table in a small NH town when I was sixteen. The story and characters have probably gone through as many changes as I have. They were just teens like myself to start with and my hero was a famous musician who looked a lot like George Michael. Hey, it was the 80's, what do you expect? But they grew up and transformed into who they are now. And I couldn't be more pleased to see this one out there for the world to see. Thanks to all my friends who've helped and encouraged me along the way. You guys are the best!!! !